So the first lady and I were in the Dickson City area running some errands and we were looking to do a pizza review, but we really didn't have a plan as to where to go. 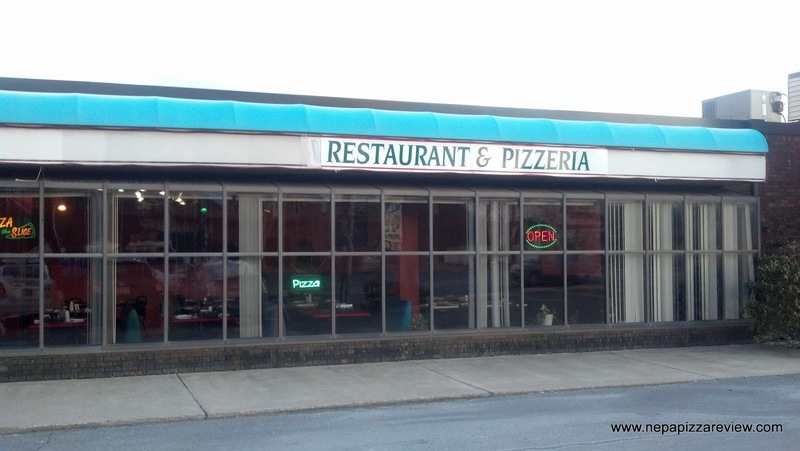 Honestly, I was running dry on pizzerias where we could sit and eat around the Viewmont Mall, so we just headed down Main Avenue until we saw a place to try. 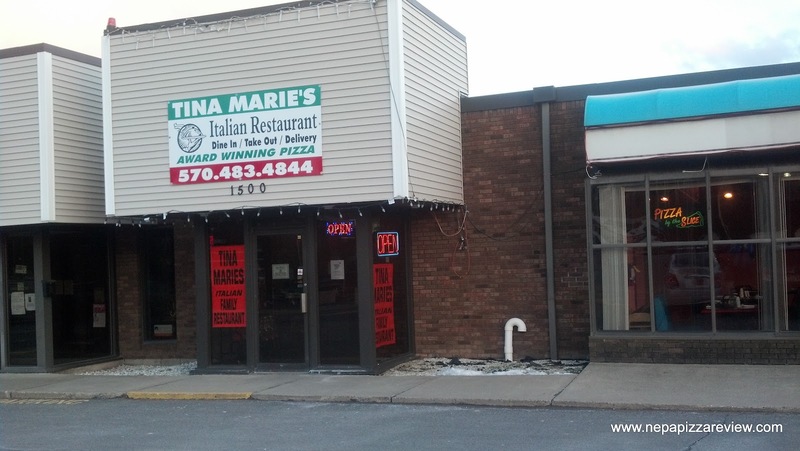 We came upon Tina Marie's which had a sign advertising "Award Winning Pizza." If a pizza is award winning, I need to see what it's like! So we pulled in and checked it out. 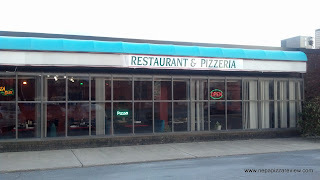 Both inside and out, the place looks like it used to be a diner which was converted into an Italian restaurant. It's clean and pretty new, but I didn't get an authentic Italian vibe. The fact that they serve breakfast is a nice option for customers and also solidifies my classification as an "Italian diner" for this restaurant. We sat down, placed our order and decided to go with the "award winning" large pizza. When ordering, you have your option of square or round pizza with either mozzarella or American cheese or a blend of both. I asked what the award pizza was, and I think the consensus was the round with mozzarella. The pizza took about 15 minutes to get to our table, and it was fresh and hot when it got to our table. When I took my first look, I expected something unique or artisan about this pizza because it is "award winning," but it looked pretty standard - a normal round New York Style pizza. We decided not to waste any more time on first impressions and got right to the taste test. 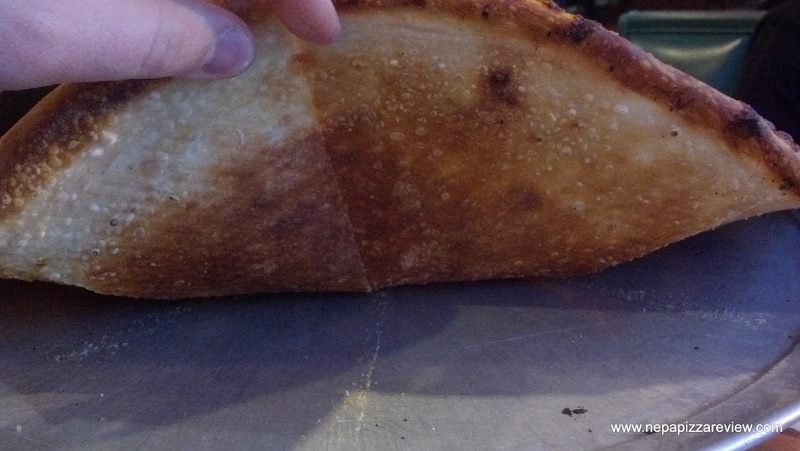 I found the pizza to be very thin - razor thin in parts and just somewhat thin in others. In other words, the dough was not stretched evenly at all. Some of the crust was crispy and cooked all the way, but some was still doughy and chewy. We also found the crust to be cooked unevenly, which was a product of the varying thickness and possibly a lack of turning the pie in the oven. I did like the flavor of the thin dough, but it was overpowered by the sauce which stuck out the most. The sauce was pretty neutral, but there was a distinct bitterness which was quite prominent. The cheese was slightly salty, slightly greasy, and provided a nice contrast to the sauce. 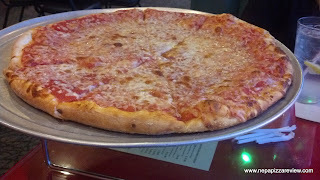 My favorite part of the pizza was the cheese, although I was not overly impressed with any one component. Overall, I have to say that this pizza is pretty average. I don't have a whole lot more to report, but I am left wondering who provided the award for the pizza and what was the competition? I'm certainly not saying this pizza is bad, but it makes me curious as to who defined this pizza as award winning. 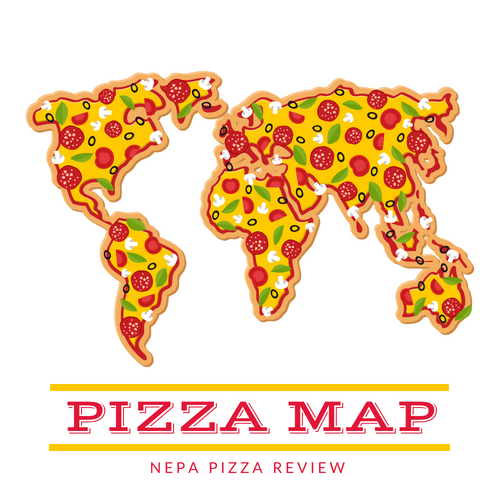 Then again, I am inching ever closer to my 100th NEPA pizza review, and I have tried quite a few of the competitions' pizzas! Anyway, I digress...I wouldn't put this place on your radar for pizza if you are a pizza snob, but if you are looking for a good value place to eat for breakfast, lunch, or dinner, I'd say give Tina Marie's a try.